Drones have grown in popularity in the last few years. Everyone can own one these days, but did you know if you are a business owner that uses a Drone getting insurance to protect your business and the Drone was very difficult, until now. Insurance companies didn’t want to get involved in the, what they call, unmanned aircraft market. Drones were too new and there wasn’t enough industry data. Well, not any more. King Insurance & Financial Services have a National carrier that will offer you Drone protection as an endorsement to your business policy. If you are a photographer or videographer and are considering using a Drone, or already have one, there is now protection for your business. 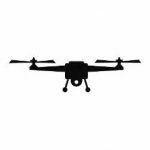 With only a few requirements you can protect your business and your Drone.